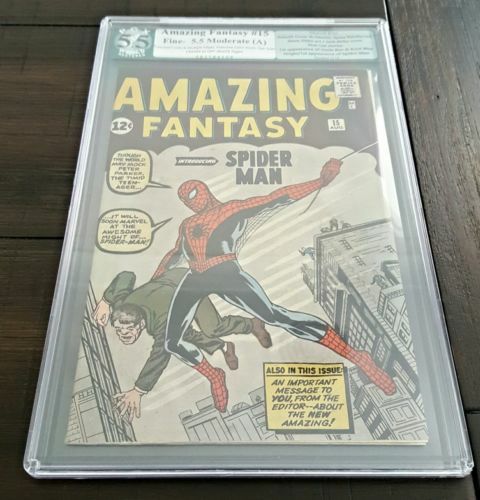 An FN- copy of Amazing Fantasy #15 (1962). Moderate Amateur Restoration, see photos for details. Professionally graded by PGX in Feb 2016. If this does not sell it will eventually be re-listed in 2017.